The survey titled ‘Women in Corporate Boardrooms’ was undertaken by 500 women leaders and 1,000 women professionals across various industries. This survey conducted to understand how corporates are gearing up to promote women employees for executive roles. Women are shattering the glass ceiling across industries and are proving their mettle in a male-dominated workforce. While there has been an increase in the number of women at the executive levels, only 10% of women leaders surveyed by TimesJobs are sure of becoming CEOs in their career. When asked the women professionals across industries if they wanted to become the CEO of their company? 71% of respondents expressed their desire to become the CEO of their company, and only 29% of respondents said that they were not keen to become the CEO of their existing company. 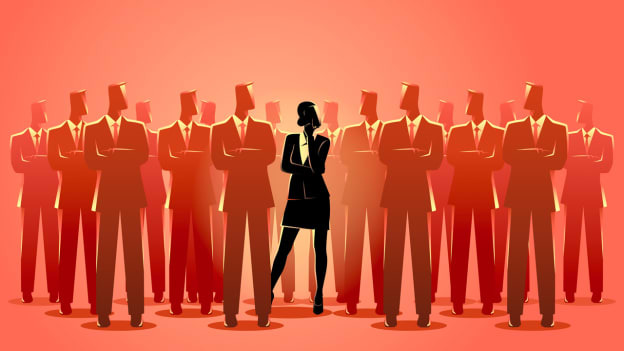 The survey results reveal that companies are still apprehensive about hiring women at executive leadership positions. Around 18% of women professionals said that their organisations are not willing to hire women at senior leadership positions. Of these, 60% cite that challenges like marriage, maternity leaves, childbirth, etc. are a primary reason to not hire them at senior levels. Although, a majority (81%) of respondents revealed that their organisation encourages hiring women employees at executive levels. “The findings of the survey reflect a positive trend for the hiring of women at senior leadership positions. Today, organizations look for competencies that make a leader and are therefore looking to eliminate gender biases while hiring and promotion. In the coming future, diversity will become a core focus area for organizations as it is a key driver of performance for any organization,” said Ramathreya Krishnamurthi, Business Head, TimesJobs and TechGig. NEXT STORY: What keeps the tech workforce at work in India amidst public scandals?